For years, U.S. historians have been at odds over the identity of America’s first female cop. Was it Alice Stebbins Wells of the Los Angeles Police Department, who petitioned the city to get women on the force? Or Lola G. Baldwin of Portland, Ore., who crusaded for young, single working women and sought to weed out corruption in the city? 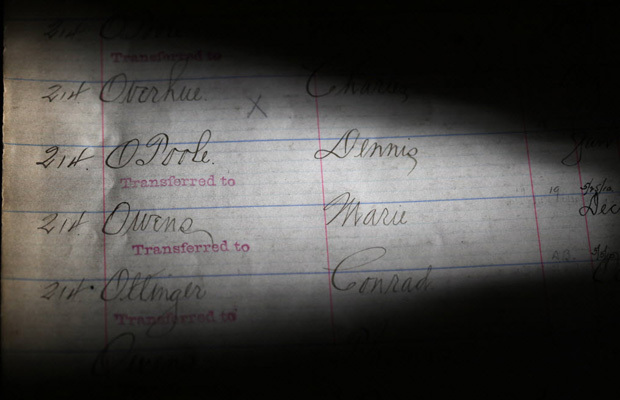 Now, a retired federal drug-enforcement agent and history buff from Chicago has come forward with what he says is unequivocal proof that the title actually belongs to Marie Owens, a tall, steely woman who specialized in enforcing the Windy City’s child-labour and mandatory-education laws �”and who hailed from Canada. Rick Barrett says he has spent the last three years combing through Chicago city and Illinois state records, newspaper articles and genealogy documents, to chart the life story of Owens, who grew up in Ottawa, Ont., and then made her way to Chicago where she became a detective sergeant in 1891 �”predating Wells and Baldwin by at least 15 years. Barrett, 57, says he felt dutybound to go public because Owens’ story had become confused in history textbooks with the story of another woman with a similar name, Mary Owens, the widow of a slain Chicago police officer. Barrett says he plans to meet with representatives of the National Law Enforcement Officers Memorial Fund in Washington, D.C. to share his findings about Marie Owens and to set the record straight. Maria Connolly was born Dec. 21, 1853, in the tenements of Bytown, Ottawa, the daughter of Irish parents James Connolly, a butcher, and Mary Hayes. She was baptized at the Notre Dame Basilica in Ottawa. In 1879, she married Thomas A. Owens and within a couple years, they moved to Chicago, where Thomas worked as a gas fitter. In 1888, Thomas died of typhoid fever, leaving Marie Owens a widow and single mother of five young children. Around this time, local newspaper reports were documenting rampant child exploitation in the city’s factories and stores. The city agreed to hire five women to work as factory and tenement inspectors at a salary of $50 a month. Owens clinched one of the spots in 1889, beating out hundreds of applicants. But enforcing the city’s child-labour laws wasn’t easy in those early days. “When the work was first begun a woman wearing a police sergeant’s star was a novelty,” Owens wrote in an op/ed piece in the Chicago Daily Tribune in 1901. According to Barrett, Owens convinced some department stores to close earlier in the evening to reduce the work hours for women and children, and also got some stores to install break rooms. “Give me men like she is a woman and we will have the model detective bureau of the whole world,” her captain raved. But news accounts from the time also portrayed Owens as “stately,” “graceful,” and sympathetic to the plight of child and women workers. But Owens also took the view that each child-labour case should be judged individually and that there were occasions when the best option was to allow children to keep working, such as when they were the breadwinners of widowed mothers or dependent families. “She felt the law should be like a rubber band �”flexible, ” Barrett said. Owens retired in 1923 and moved to New York to live with her daughter. She passed away four years later. Dave MacFarlan, a retired Chicago police detective and member of the Chicago Police History Committee, said local historians have known about Owens’ history with the force, but no one has really delved into her past and uncovered records like Barrett has. “God bless him. He’s one of my new heroes now,” he said. If Owens was, indeed, the country’s first female police officer, then the record should be set straight, MacFarlan said.